Datafeedr is a powerful, push-button store creation system that enables you to set-up, manage, and update a complete affiliate data feed store into your WordPress blog without touching any datafeed files from the affiliate networks. It is a powerful solution for beginner, intermediate & advanced level of affiliate marketers. It comes with many default widgets so you can display store categories, products, product tag clouds, product search forms and other store-related links anywhere your theme allows. 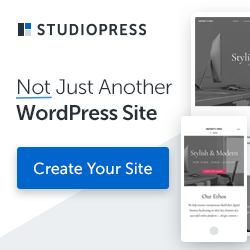 it also includes built-in store templates so that you can directly import products to your site without spending much time on designing your product pages. 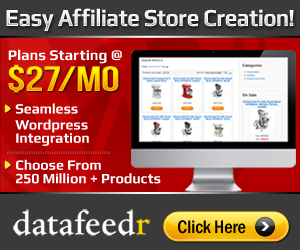 Datafeedr has aggregated over 273 million affiliate products from 34 affiliate networks. It gives you the power to search these products based on your niche or keywords. You can promote products from multiple networks and merchants all in one store. Datafeedr also supports StoreYa.com to make it easy to import your Datafeedr store into Facebook. Gravity Forms is a powerful form management plugin for WordPress. This plugin allows you to build simple or complex forms easily using an easy to use visual form editor. It helps you to easily embed a form into Posts & Pages and allows your site visitors to create a post by filling up a form, which is then comes to the admin review before publishing the post. It also allows you to quickly and easily integrate with a variety of third party services. Allow Users to Automatically Create a Post – Great for user submitted stories, job postings, directories, etc. Users can select the post category when creating a post via a user submitted form. Search, edit, delete and keep track of all entries from the Entries page in your WordPress administration panel. The visual form editor enables people with no HTML skills to create complex forms in minutes. The easy to use Embed Form tool will help you in creating the correct shortcode to be added to your post or page content. Now you can set up notifications to route to different email addresses based on rules that you define. OIOpublisher is an advertisement manager plugin for wordpress that focuses on improving your revenue and keeping you in complete control of your ad space. OIO Publisher can also used as a stand alone script without wordpress. OIOpublisher helps you to sell your ad spaces or any other digital products directly to the buyers without any middleman commissions. It is fully automated, thus saving time and gives you the total control of your ad space. WP Coupon Plugin helps you to create powerful WordPress coupon sites on any niche like books, travel, hosting, and more! You can use it to run a complete affiliate coupon site, or add coupons to your existing website or blog. WP Coupon is professionally coded in a way that gives your site maximum exposure to Search Engines. It can be easily installed with any of your own favorite theme. WP Coupon also comes with a free theme with every order! 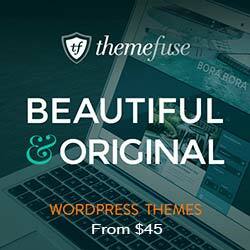 WP Coupon themes have easy to use, advanced control panels that lets you configure theme settings so you don’t have to touch the code. Each theme comes with multiple page templates. WP Coupon comes with special tools to help you add stores to your coupon web site. WP Robot is a powerful autoblogging plugin for WordPress. It allows you to autopost Amazon products, eBay auctions, Clickbank ads, Youtube videos, Yahoo Answers Q&A’s, Articlebase articles, Flickr images and much more. With this plugin you can now automatically find content for any niche or keyword of your choice, translate, and create blogs full of engaging curated content. It comes integrated with support for spinning software that makes it possible to create automatic unique content. The Most recent version, WP Robot 4 has been released with amazing new features. This gives the possibility to mix content from all modules together into posts, a new templating system and many new settings mean you can almost do anything! The Amazon module creates blog posts for any product that is sold on Amazon and also adds all reviews found on the product page as comments to the post. Automatically create Amazon product posts for any keyword you specify. Earn money for any sale you refer through your posts through Amazon’s affiliate program. eBay module adds recent and popular auctions from eBay to your blog on autopilot based on keywords you specify. Earn money for any sale you refer through the eBay affiliate program. Add up to 6 different auctions to a single post. The Clickbank module automatically post Clickbank ads on your weblog. You can earn money using the Clickbank affiliate program. This module is provided free with every copy of WP Robot. Yahoo Answers Module adds questions and answers to your blog on any topic automatically. The questions and answers will be retrieved from Yahoo Answers. The questions will be created as a post and all the answers to the question will be added as comments to the post. Post questions from many international Yahoo Anwers sites: Choose between English, German, French, Spanish and Italian language. Filter questions by Yahoo Answers categories. Uses the official Yahoo Answers API (a free Yahoo Application ID is required to use this module). Youtube Module adds keyword targeted youtube videos to your blog on autopilot. Editable post template: Specify exactly how posts will look on your blog, include the description, a video thumbnail, the rating or more! Works together with all other content modules (except the eBay module)! Can translate posts in 9 different languages. By translating multiple times (i.e. from English to German to English) it can also create instant unique content! Flickr Image Module adds screnshots, images and other media on any topic from Flickr.com to your weblog automatically. Uses the official Flickr API (a API key is necessary to use this module). Create posts exactly like you want them to look with the templating option. Many customizable options, including choice of image size, licensing and sort mode. Yahoo News Module retrieves content from yahoo news and posts to your weblog automatically. Choose from many different languages, including English, German, French, Spanish and Italian. Uses the official Yahoo News API (a free Yahoo Application ID is required to use this module). Add up to 5 news stories in a single WordPress post. The RSS module allows you to add any RSS feed you can find to WP Robot and the plugin regularly posts all its content to your weblogs. The WP Robot Commission Junction Module allows you to post product and listing data to your weblog on autopilot and earn great commissions from every sale you refer to one of the many merchants. Automatically post products from any Commission Junction advertisers and partners to your weblog. Powerful template options allow you to specify exactly how you want your posts to look. Many settings to customize the products that get posted to your blog! The Oodle Module allows you to access all of classified listings from Oodle.com by using their official API program and post it to your weblog automatically! Post exact listings from specific locations, i.e. cities, ZIP codes and more! Many settings, including support for 5 countries and category selection. The Shopzilla module allows you to add products and include comparison shopping content for your visitors on your blog automatically from the vast database of Shopzilla website. Add the results to any other WP Robot modules, for example to include price comparisons with your Amazon products. The Press Release module allows you to post all press releases available on PRWeb.com to your weblog on autopilot. The Twitter module allows you to add all content available on twitter.com and easily include any “tweets” related to your blogs niche into your weblog. It is free and automatically included in every copy of WP Robot. The Linkshare module allows you to automatically post products from advertisers you choose on Linkshare’s huge affiliate network to your site in order to earn affiliate commission. Huge amount of products and advertisers in different niches to choose from. Earn commission for every sale you refer. Another monetization method for your blogs! The iTunes Module can access the complete iTunes store by Apple and post anything that can be found in there to your weblogs on autopilot, no matter if it is a song, album, app or movie. Many customizable settings are available to find exactly the content you need on your site. Yelp module for WP Robot you can access this data through the official Yelp API and add it to your weblog. You can target reviews from any region, city and keyword you need. The new ShareASale module for WP Robot can read the content from any merchant datafeed provided by the hundreds of vendors on shareasale.com you upload to your website and post its content on your blog automatically, giving you access to many thousands of products as new content from which you will also earn affiliate commission! The WP Robot Avantlink Module helps you to autopost your blog with the product feeds from Avantlink affiliate network. You will earn affiliate commission for each sale you refer through the Avantlink partner program, adding yet another valuable source of automatic income to your autoblogging network! The WP Robot PLR Module allows you to post your own PLR (private-label-right) content to your autoblogs by simply dropping it in a folder of your website and have WP Robot do all the dirty work automatically. You can have 20 active keywords in the basic version and 50 keywords in the advanced of WP Robot simultaneously. The elite version even allows an unlimited amount of keywords. Replace keywords in posts with other keywords or links of your choice, for example for SEO purpses. Open outgoing links in a new window. Set up global exclude keywords which apply for all your campaigns. Split article posts into several pages with a new option. If you want you can only translate a certain amount of posts. Randomize the number of comments per post. Choose to use a Unix cron job instead of the WordPress pseudo-cron for better accuracy and control. Set up any number of “Post Template Presets” to simplify campaign creation. Quick campaign setup buttons to create complex campaigns with the click of a few buttons only. Add custom fields to all your posts, for example to use thumbnails with your premium themes.